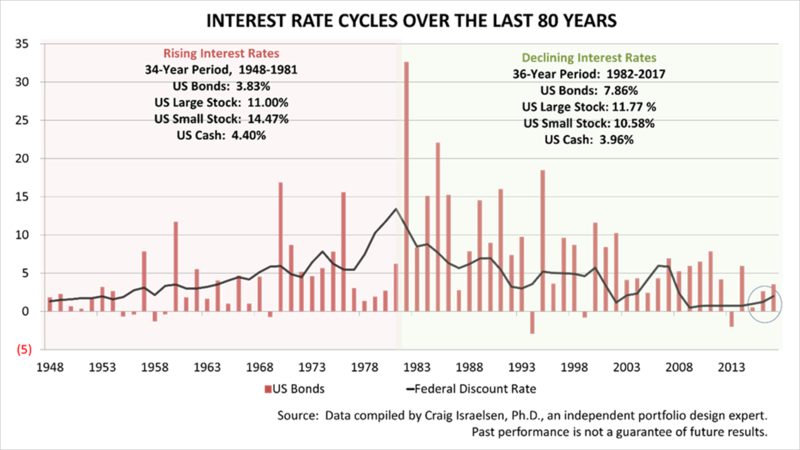 The 11% annual return on stocks and the return of about 4% on Treasury Bills stayed approximately the same through both the rising and falling interest rate cycles. 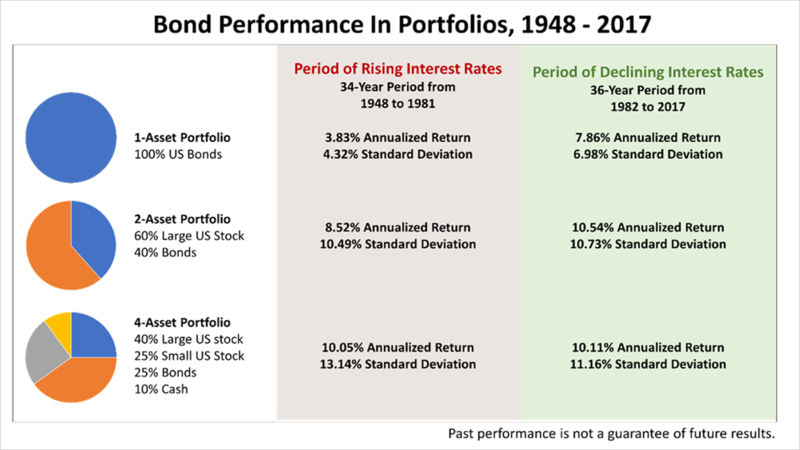 However, the 3.8% average annual return bonds in the rising rate cycle from 1948 to 1981 was less than half the 7.86% annually averaged on bonds during the 1982 to 2017 period. This poses a new kind of risk that many investors have never experienced before.